Congress is taking aim at increasing problems with cruise ship sexual assault, according to an article by the Miami New Times. Aiming to improve passenger safety on cruise lines, the Cruise Passenger Protection Act (CPPA) also details specific regulations for sexual assault that occurs on cruise ships. The CPPA has bipartisan support in the House and Senate, with sponsorship from U.S. Representatives Jim Himes, Doris Matsui and Ted Poe as well as U.S. Senators Richard Blumenthal and Edward J. Markey. If Congress passes the CPPA, cruise lines will have to adhere to new rules and regulations. “Many cruise ships are the size of small towns – but with few emergency services and no law enforcement, these vessels are more Wild West than Atlantis,” Sen. Blumenthal stated in a press release. As a result, supporters of the CPPA want to ensure that passengers at sea have substantially similar protection and legal recourse as they would on land. If an alleged crime occurs on a cruise ship, then there is a four-hour time limit for the cruise line to report the incident to the FBI. If an alleged crime occurs at a U.S. port, then the cruise line must report the incident to the FBI before leaving the port in question. If an alleged crime involving a U.S. citizen occurs at sea, then the cruise line must report the incident to the U.S. Consulate or Embassy at the next port. 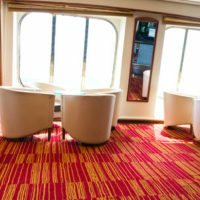 Outside of private areas – such as passenger rooms or bathrooms – cruise lines must use video recording for monitoring purposes. Cruise lines must maintain video recordings for at least 30 days after the trip ends and provide access to those videos for legal purposes. The CPPA is the latest initiative from Congress designed to protect individual and consumer rights on the high seas. Back in 2010, Congress passed the Cruise Vessel Security and Safety Act (CVSSA). Do You Require Legal Assistance From an Admiralty and Maritime Lawyer? If you have questions about cruise line sexual assault or other passenger claims, there is no substitute for legal advice from a knowledgeable admiralty and maritime lawyer. Otherwise, you may not put yourself in the best position for recovery. 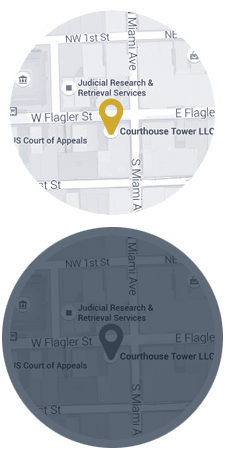 With offices in Miami, Florida, Michael F. Guilford, P.A. has longstanding involvement with the field of admiralty and maritime law. If you need legal assistance related to admiralty and maritime law, please do not hesitate. Contact Michael F. Guilford, P.A. at your earliest convenience.